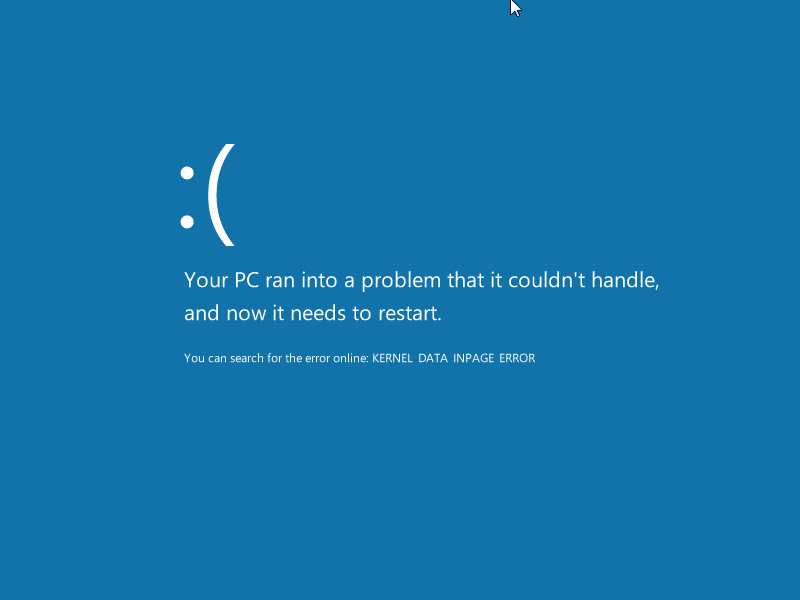 The Blue Screen Of Death looks better: it’s updated to the Internet era. It’s a developer preview so it can be forgiven. But it’s a good way to turn customers off. Firefox has 13 tabs open, Chrome has 3 plus the “about:memory”. Firefox has 36 add-ons of which 1 is disabled, Chrome has 14, of which 6 are disabled. Class “current” would display a “>” arrow to highlight the selected row, however IE7 displays the arrow on each table cell. Update: Chrome and Safari have the same bug as IE7, Opera renders the image correctly. I needed a dropdown list that allows multi select, a sort of checkbox list paired with a dropdown. For example is very useful when working with months. MS Reporting Services has one. After googling for a while, I couldn’t find one to satisfy me and I started to play with a dropdown. A click on dropdown and a list of checkboxes appears, another click and the list dissappears. 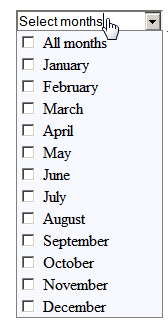 Problem was that the dropdown wanted to show it’s “Select month” option. I want to give more information to the confirm dialog when the user deletes a record. I have a menu and I need to highlight the menu item that loaded the current page. I tried to set server-side the id of the body to something unique and pertaining to the current page being loaded. Surprisingly, I could not get the page file name (or some other unique Id) but only the page title which wasn’t good enough. Each time the page loads, the “selected-menu” class is removed from all li items under #menu. Then, the “selected-menu” class is added to the li item that has the id equal to the page being loaded. The data source does not support sorting with IEnumerable data. Automatic sorting is only supported with DataView, DataTable, and DataSet. The web has some solutions to this problem, however I’ve found them either not working, sorting only in memory or too complex. I’m using NHibernate and the simplest solution was to parse the sortExpression from the ObjectDataSource into a list of NHibernate.Criterion.Order, then add the Orders to the ICriteria. This way, I only have to add SortParameterName=”sortExpression” to the ObjectDataSource and the corresponding code in the Select method. /// Creates a list of NHibernate.Criterion.Order from an sql sort expression. If sort is missing, ASC is assumed.